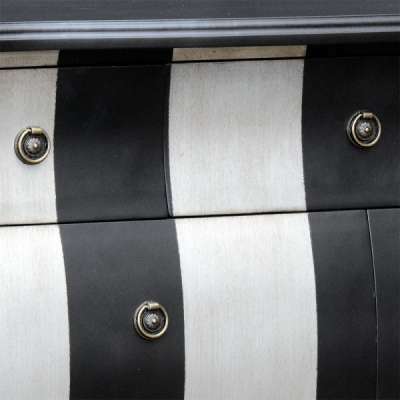 Parallels Black and Silver Stripe large bombe chest of drawers. 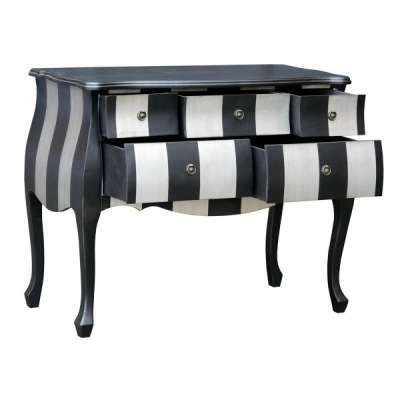 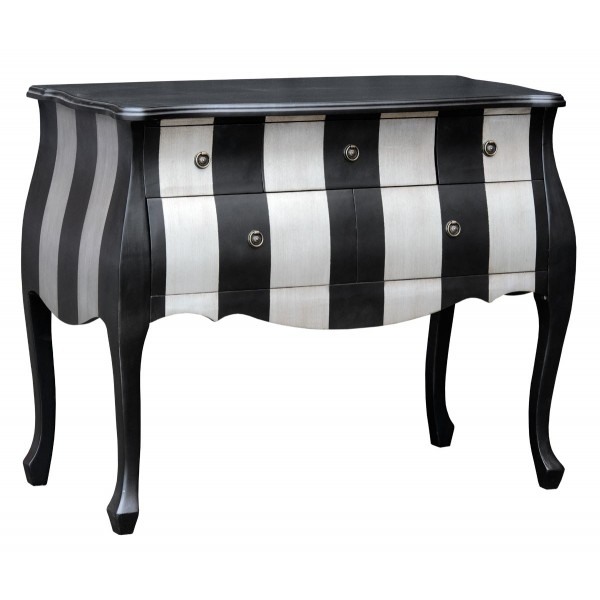 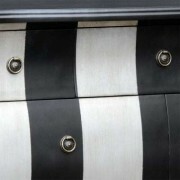 A curvy bombe style antique silver and black large bold stripe five drawer chest of drawers, delivered fully assembled. w105 x h85 x d51cm.